Mix together, peppers, tomatoes, cucumbers, onion and cilantro. Add a splash of oil and vinegar. Season to taste. Heat BBQ to med heat, liberally oil the grill and the mahi-mahi. Season the mahi. Place mahi on grill flesh side down. At approximately 4 minutes, flip the mahi using a flexible spatula and put the pineapple on the grill. Grill for another 4 minutes. 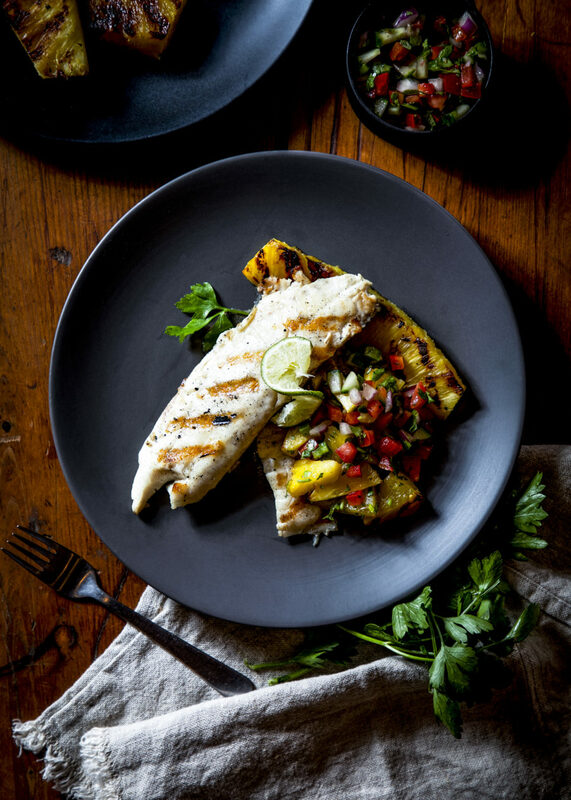 Serve mahi-mahi atop the grilled pineapple, garnish with salsa, and enjoy!